This is an original 16x20 oil painting on a canvas panel. 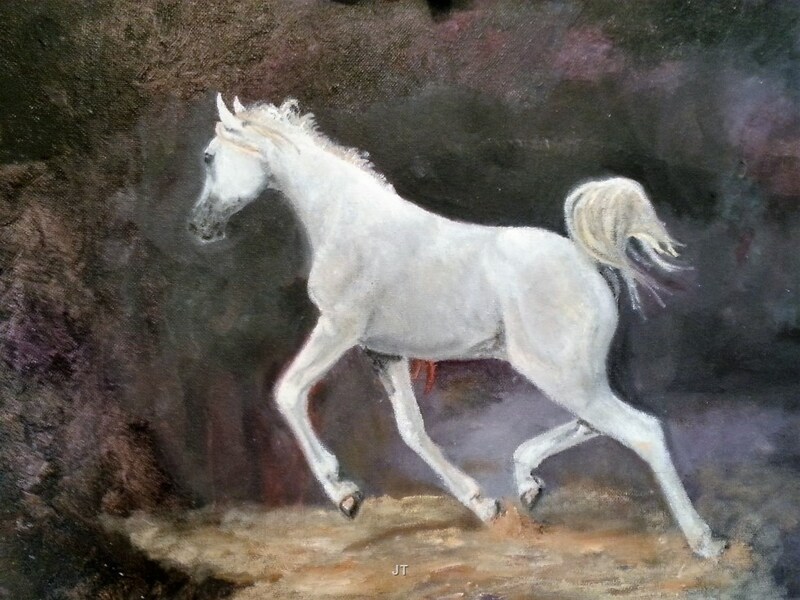 An excellent painting to frame and hang over a mantle or wall great for horse painting collection and is done in a soft tone of oil paint. I took great care to create this painting. It is signed and selling unframed. Easy to frame in. Please display indoors and avoid direct sunlight, extreme heat and humidity. I ship in a card board box and through USPS Priority First Class mail.